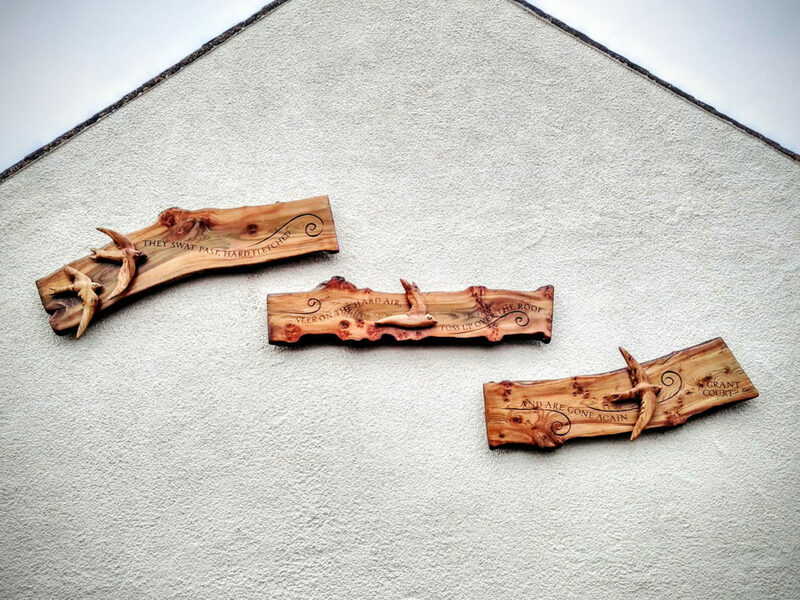 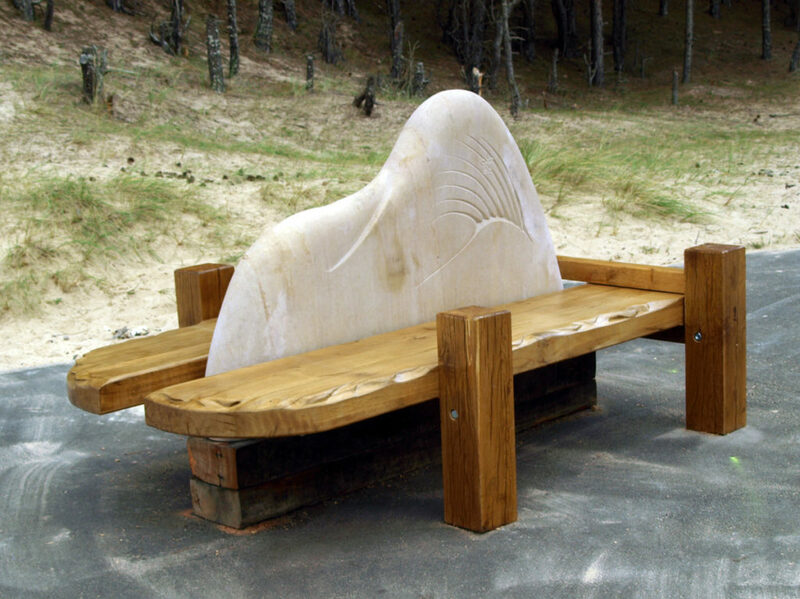 A ‘mixed-media’ memorial to a mason installed on the Black Isle with hand-carved wooden elements. 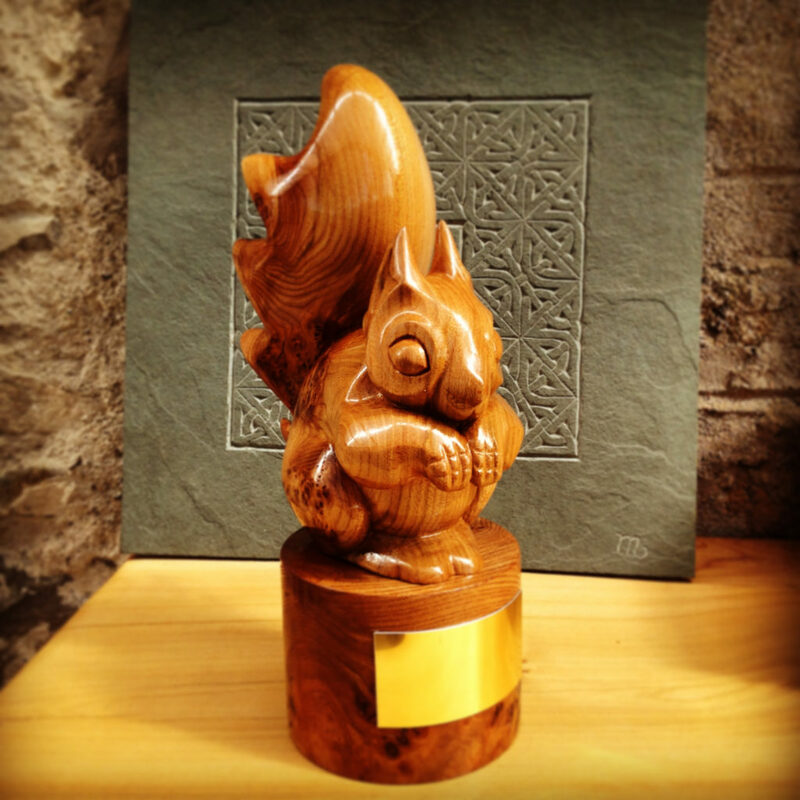 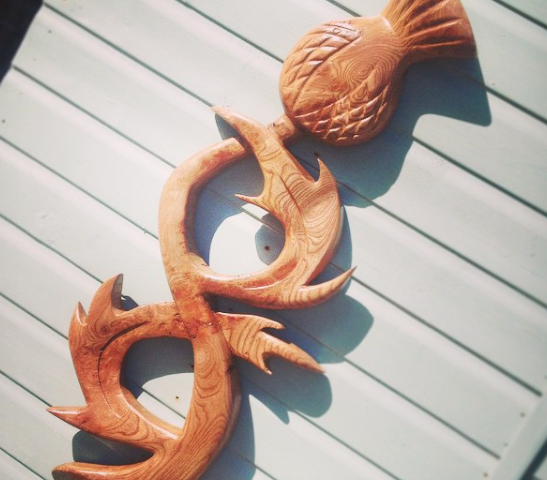 This was a nice commission to carve. 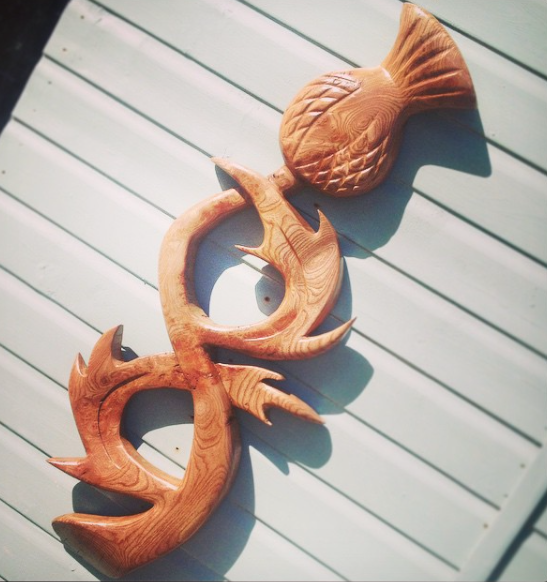 A large, wall-hanging thistle formed of the clients’ initials – C&PS. 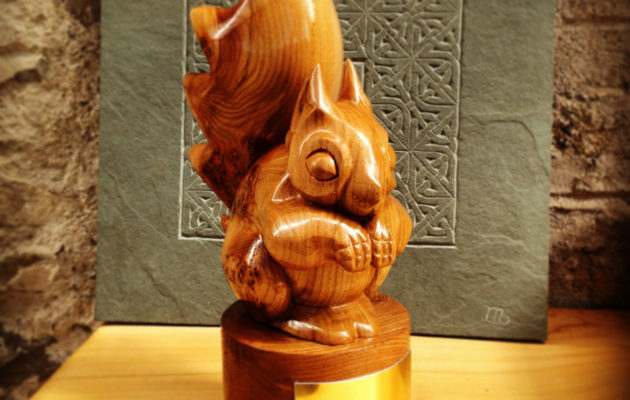 Elm. 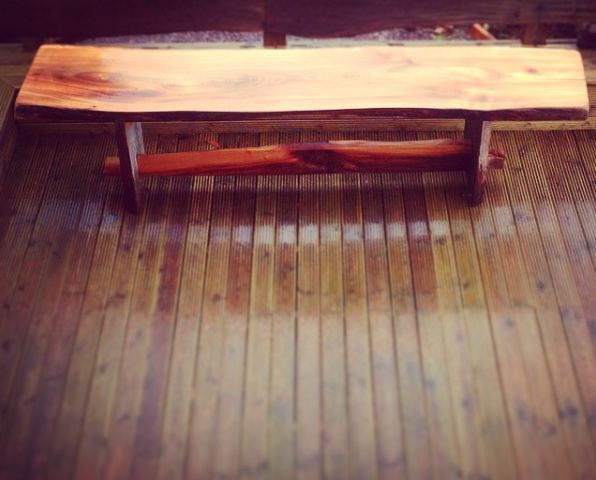 Large patio table constructed from a solid piece of elm, Applecross. 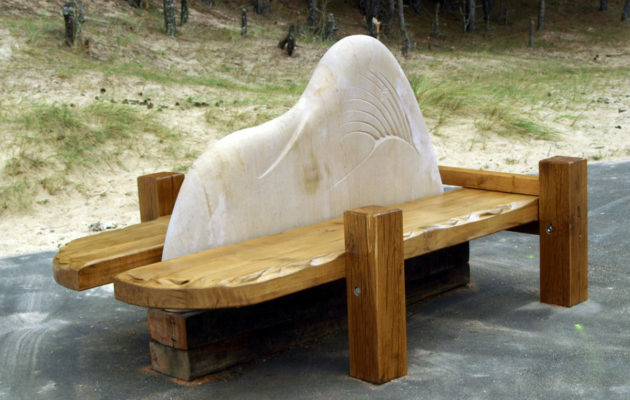 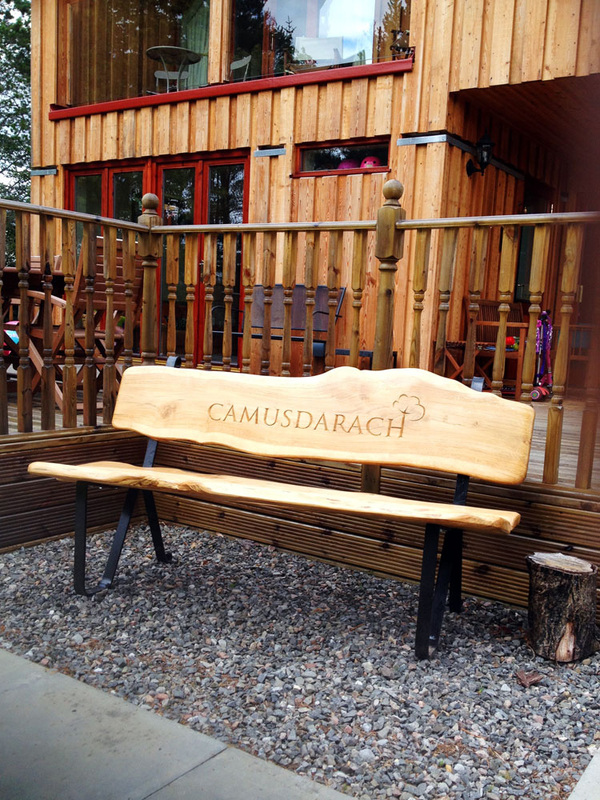 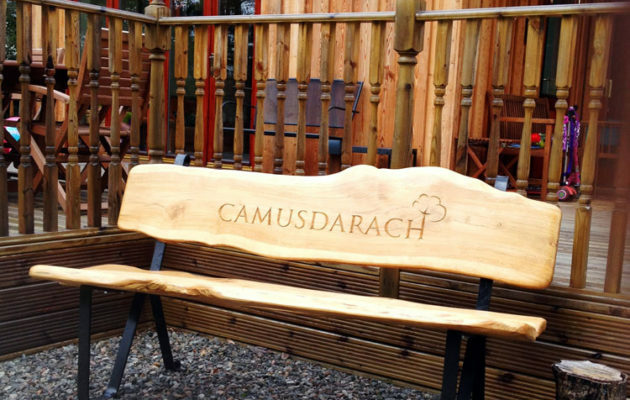 Carved feature bench for Roseisle Beach on the Moray Coast. 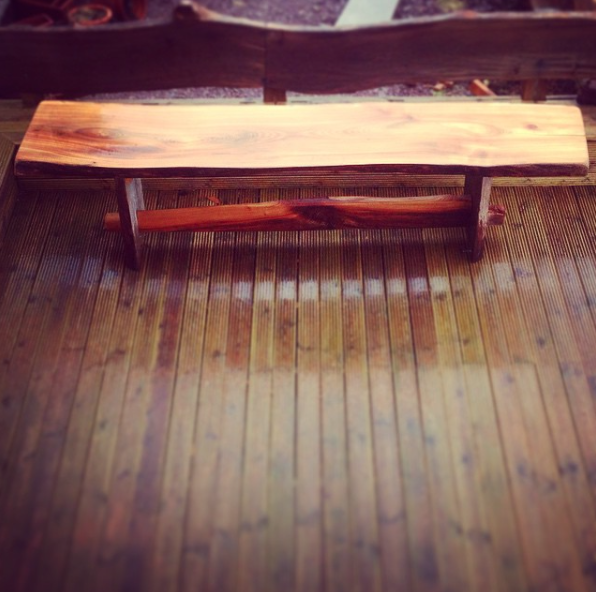 I was asked to produce a garden bench using planks cut from an oak tree planted by the client’s father forty years ago.